One of the trends I’ve noticed recently is vitamin drips — offered, according to online advertisements, by clinics that look more like beauty spas. Some companies operate from glamorous salons, others from posh hotels or even backstage at fashion shows. But this is not a service offered by beauticians — it is often performed by doctors, nurses and paramedics. 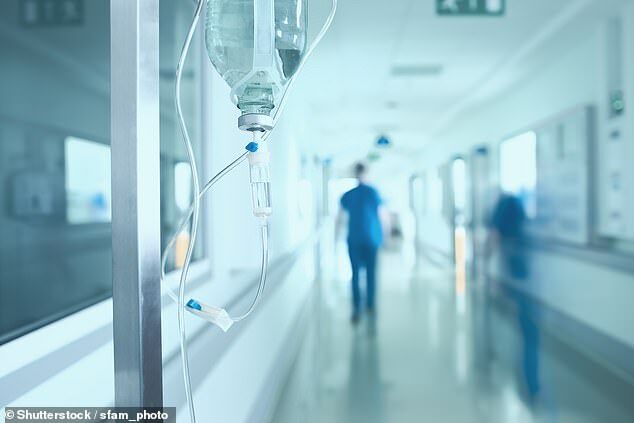 As a doctor, I am familiar with drips — where a needle is inserted into the back of the hand or arm to put in a cannula and attached to a bag of fluid — and they are common in hospitals. Drips should not be given lightly — complications include bruising and infection. More rarely, they can cause nerve damage — I still have pain in my hand six months after being on a drip in hospital. Yet these clinics are not designed for people who have a clinical condition, but for those who just want a ‘mood’ or ‘wellbeing’ boost or to have a ‘preventative shot’. And their menus promise all sorts — for example, Getadrip offers Basic Hydration, a Beauty Drip, Detox Drip and Fitness Drip, with concoctions of vitamins and minerals. The IV clinic, run by GP Dr Arun Ghosh, says, ‘Look Good, Feel Great’ and ‘Perform Better with an IV infusion of vitamins, minerals and essential nutrients’. Meanwhile, Nosh Detox offers The After Party Infusion, which it says contains B vitamins and zinc to ‘help remove toxins inside and out’. In general, these drips contain salt water with added vitamins and minerals. One popular drip called the Myers Cocktail contains salt water, B vitamins, amino acids and magnesium. It is named after a doctor in the U.S., John Myers, who gave a mixture of vitamins and minerals to patients intravenously and is often described as kicking off this trend. The dose of vitamin B1 in some versions of the cocktail is 100mg — far more than the 1mg a day the NHS recommends for adult males. Often costing over £100 — and with some packages for several infusions costing several hundred — are the claims justified? When I approached Dr Ghosh’s clinic, it referred me to an organisation called AIMS — the Association of Intravenous Micronutrient Supplementation. It, in turn, sent me some general information, but no specific studies about the drips offered, instead telling me to search medical research databases for keywords. CLAIM: This knife is designed for those with arthritis and other hand movement restrictions. The blade is rounded to make slicing foods easier, as the user only needs minimal arm strength to move it by rolling it forwards and backwards. VERDICT: ‘In theory, the knife should be useful,’ says Claire Rothery, an occupational therapist (reableme.com) based in Rugby. ‘However, the handle is made of a hard plastic rather than a spongy rubber, and is not moulded to fit the hand, both of which would make it more comfy. ‘My daughter has a congenital hand condition, which means she uses specialist cutlery. 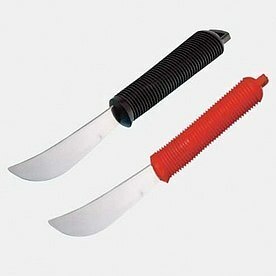 When she tried using this, she had to rock the knife back and forth several times to cut food. I did that, but I could find very little on using vitamins intravenously in this way. The only published study I could find was for the Myers Cocktail — this didn’t compare it to a placebo, meaning it was impossible to know whether the drip had any added benefits beyond being a placebo itself. Nicola Guess, a dietitian and lecturer at the University of Westminster, says: ‘There is good evidence for a limited number of vitamins and mineral supplements in certain people who have a recognised deficiency or at particular stages in life. ‘For example, folic acid prevents neural tube defects [such as spina bifida] in infants, so pregnant women should take folic acid tablets in the first 12 weeks or when planning to become pregnant. 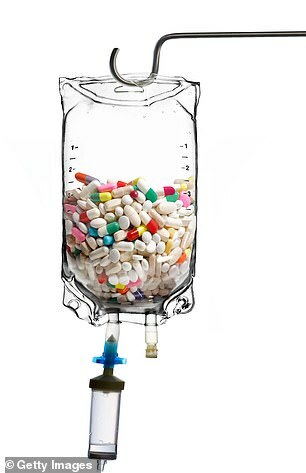 ‘At best, IV infusions in healthy people with a normal diet are a waste of time and money, and, at worst, could be harmful.’ Kirsty Bamping, a dietitian and spokesperson for The British Dietetic Association, says vitamins given through a drip are absorbed differently to those from food, which can be problematic. ‘In healthy individuals, nutrients are released into the bloodstream from the gut and liver as part of the normal digestive process,’ she says. ‘If nutrients bypass this process and enter directly into the bloodstream in high doses, this could cause harm and the long-term effects are unknown. She adds: ‘There have been no clinical studies to show that vitamin injections of this type offer any health benefit. Vitamins and minerals can be harmful in excess, especially fat-soluble vitamins that are stored rather than excreted by the body, such as vitamin A, which in excess may result in liver damage. While the manufacturers of vitamin drips would no doubt say their products are different, because they are not used every day, the fact that we don’t have high-quality trials to look at the evidence should be a red flag. Mike Lean, professor of human nutrition at Glasgow University, is clear on what he thinks about the drips. ‘There is evidence that non-physiological doses of vitamins and minerals can do harm and, in some cases, increase risk of mortality when given as supplements on top of food,’ he says. Stress can lead to a markedly lower amount of grey matter (the part of the brain that contains brain cells) in the area that regulates emotion, according to a 2012 study from Yale University in the U.S. The researchers looked at the brains of more than 100 people who had experienced significant stress, such as following divorce or job loss. A further study from Yale found that stress triggers a genetic switch that leads to a loss of brain connections. 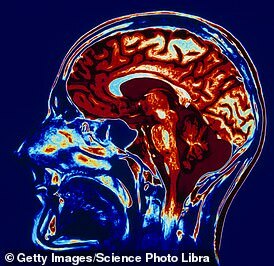 Pain can also affect the size of the brain: a 2004 study from Northwestern University, in the U.S., found that people with chronic back pain had 11 per cent less grey matter — roughly equivalent to the amount of grey matter lost in 20 years of normal ageing. When I spoke to the GMC, it said that if I thought doctors were offering treatments that weren’t evidence-based, I should make a formal complaint. It did investigate one clinic, owned by a doctor, but did not take action because ‘while there are no medical benefits to IV vitamin supplements’, the ads made it clear that ‘the treatments are not intended to be medical’. The GMC sent me to the Advertising Standards Authority (ASA), which passes all medical claims to the drugs watchdog, the Medicines and Healthcare Products Regulatory Agency (MHRA). It told me that several clinics have been told to stop making some claims after I notified them. The IV clinic said ‘wording will have to be changed as claims cannot be advertised under the current regulations’, but didn’t say which ones. Dozens of clinics are offering similar products that can ‘boost your immune system’, ‘fight fat-igue’ and even ‘help to burn fat’. It seems these claims are per-mitted by the MHRA as they are not counted as medical claims — but forgive me for not being able to tell the difference, especially if the clinic is led by a medic. So, I went back to the ASA, which, thankfully, told me that it will investigate and do more work to regulate claims that seem to fall between the two regulators. Meanwhile, a private clinic down the road from me in Glasgow, run by doctors, is offering a Myers Cocktail for £150, with the promise that it has ‘just the right mix of vitamins, minerals and antioxidants for an overall feeling of wellness and health promotion’. Even if these clinics avoid the vitamins that are known to do harm in high amounts, there is still a lack of proof they offer benefits beyond a healthy lifestyle. It doesn’t seem right that trust in the medical profession is being used to service these adverts. A balanced diet with regular exercise is far more likely to do us good, as well as being cheaper. Meanwhile, the new strategy from the advertising regulator can’t come fast enough.